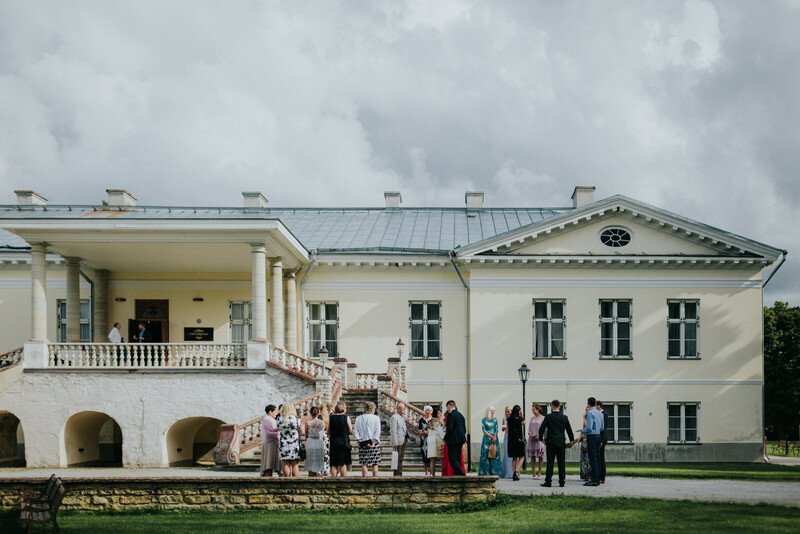 Vihterpalu Manor offers quality assistance to organise events, seminars and parties in Harju County, Estonia, just one hour drive from Tallinn. We are a family business owned by Finns and we welcome both Estonian and foreign visitors and groups. Together with our customers, we hold numerous weddings, promotional events, family celebrations, seminars and other events each year. Our large territory offers perfect opportunities for holding major open-air events or even sports activities. Our largest banquet hall is fit for 100 persons and we can accommodate 77 persons when using extra beds. If necessary, there are additional places to stay the night in the vicinity. In 1586, the King of Sweden Johan III founded Vihterpalu manor and gave it to Berend von Gröningen. In 1622, King Gustav II Adolf donated Padise monastery with its surrounding lands to Thomas Ramm. Thomas Ramm was the mint master of the City of Riga and as a rich man, he had financed the campaigns of Gustav II Adolf. A couple of years later, the King granted him a title of nobility and von Ramm became the owner of Vihterpalu manor. The golden age of Vihterpalu Manor was in the 19th century. In 1816, von Ramms’ daughter Elisabeth von Ramm married Gustav von Knorring and in 1820 they commenced construction of the new neo-classicist main building that has preserved to this day. The last von Ramm in Vihterpalu was Sophie von Rosen. The lands of Vihterpalu manor were nationalised in 1919. The last members of the von Ramm family left Estonia in 1939. In 2000, the manor was acquired by Finnish owners and large-scale renovation was completed in 2005. We are happy to tell our guests more about the history and present day of the manor.